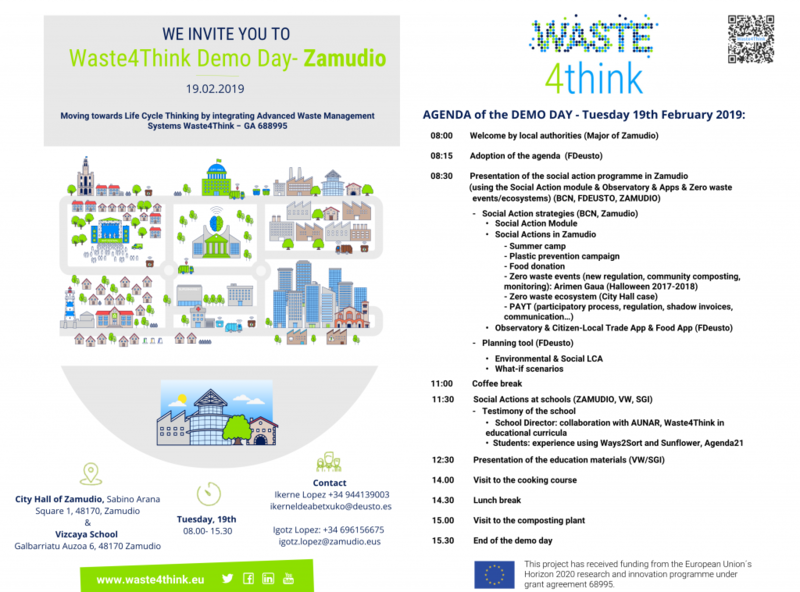 On February 19 a “Demo Day” will be held in Zamudio to present the social actions and learning materials that have been developed within the framework of the European project Waste4Think. 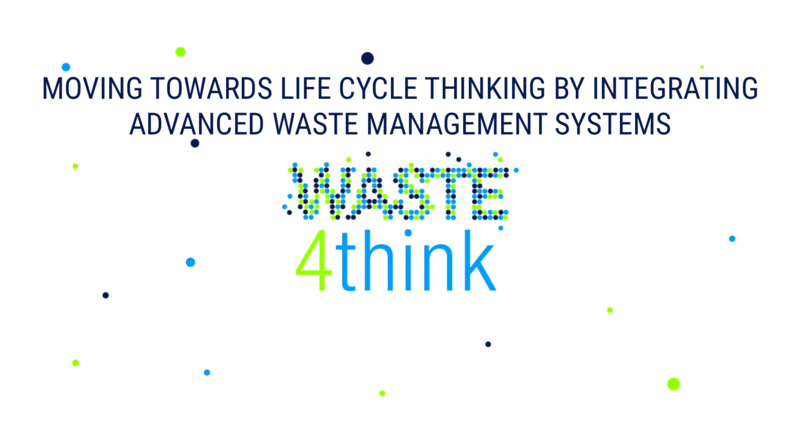 Regarding social actions, the new regulation of “zero waste” ecoevents and community composting will be presented, the campaigns of prevention of plastics and donation of food, among others. The new system of municipal waste taxes that is being implemented in Zamudio will also be presented, the “PAYT” or Pay-as-you-Throw that has been redesigned thanks to the project and what this entails (participatory process, regulation, shadow invoices, communication). There will also be a real testimony from the pilot school for the learning materials and the students will tell about their experience with the use of the project’s APPs. The attendance to the event is completely free. If you want to participate, please register here. This entry was posted in events, Zamudio. Bookmark the permalink.